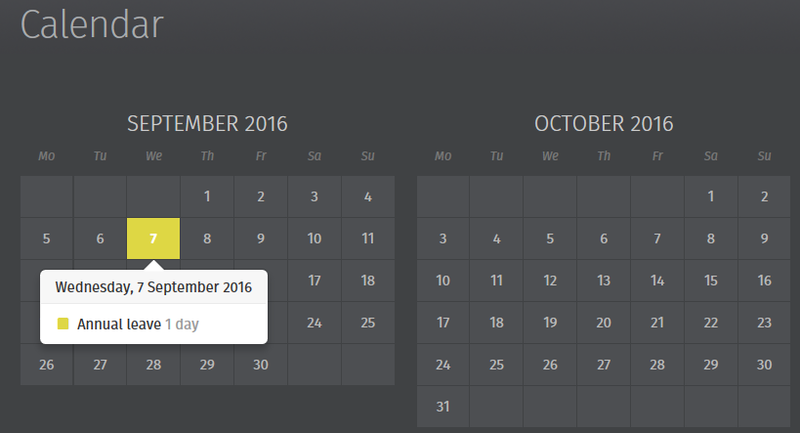 The Calendar page provides an employee with an overview of their calendar events. 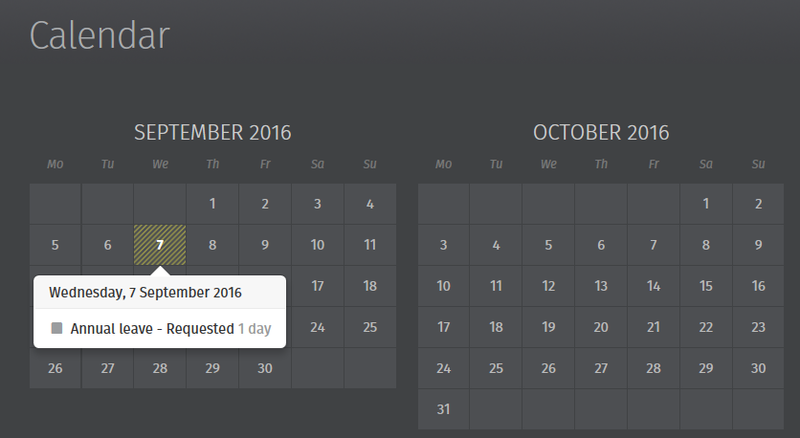 The current month will be displayed on your dashboard, showing any leave that you have taken/due to take during this month. 1) To access your full calendar, click 'Full Calendar'. Alternatively, click 'Calendar' on the top menu bar. 3) If your employer has enabled functionality allowing you to request leave through your self service portal, to request leave, select 'Request Leave', either on your dashboard or when accessing the full calendar. 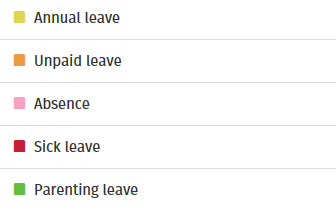 5) Click 'Submit Request' or click 'Add Day' to add further leave days.